Hi, my name is Sachinder, I am a web developer and designer based in Sydney. I am proficient in creating engaging experiences for customers and seeking challenges to create new experiences using the latest technologies to benefit the next generation of web users. I have created and maintained many websites and applications for corporate, non-profit and other clients which includes companies like Nestlé, Suzuki, LG, Honda, Hertz to name a few. Working as a web developer and designer for various companies globally and by doing various freelance projects, I gained significant experience and knowledge. I successfully performed variety of roles in various different situations. During this I acquired and applied new skills in web and graphic design. I also demonstrated my role in team work, leadership, client liaison, project and time management. Currently I am working as a freelance web developer for NEUVISTAGROUP PTY LTD (Sydney, Australia), BioAtlantis (Ireland), Punjab Balti (Ireland) and XOP networks (US). I help them to build their brands and identities in both web and print media. My previous full time job was at Global Billing Solutions, Dublin, Ireland (2008 to 2010) as a Web and Graphic Designer. I was solely responsible for creating content for three continent including Europe, North America and Australia such as promotional websites, online games and banners ads, ezine, scratch cards, flyers, posters etc. Web Developer at Digipub Ltd, Ireland from 2006 to 2008. Sr. 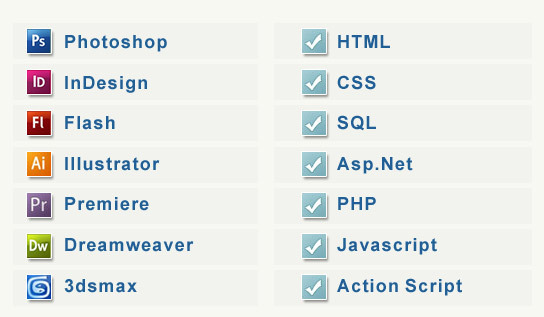 Web Designer at Newslink, India from 2004 to 2005.